Regarding the legal order, Supranationalism means that sovereign states agree to abide by norms which are adopted at a higher level of organization. In the case of the European Union, Supranationalism is not referred to the transfer of sovereignty; it is only the transfer of the power to exercise that sovereignty. Together with that, the supremacy of the Community law and the principle of direct effect present that the legal system of the Community has a federal nature. Thence, a Supranational Institution has competences to exercise powers that belong to sovereign States. In addition, the exercise of this power should be in line with the principles of proportionality, i.e. No action shall go beyond that it is necessary; and subsidiarity, i.e. In competences that Supranational Institution shares with Member States, it does intervene only if the objective of the action cannot be achieved by the Member State. 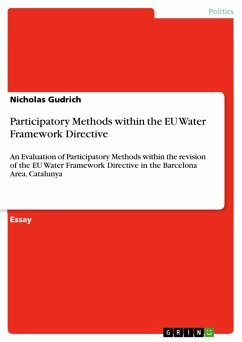 The interaction between national governments and EU Institutions, together with the freedom to act according to those competences, is the basis for the adoption of the EU rules. Beyond the legal order, Supranationalism may be employed in decision-making, monitoring and enforcement. Supranationalism can also be divided in decisional (pooling sovereignty) and normative (delegation of power). Decisional Supranationalism is referred to those decisions taken by voting procedures other than unanimity, and when governments decided to act either jointly or not at all. Normative Supranationalism refers to the delegation of power to autonomous institutions that are created by the Member States. Therefore, a Supranational Executive Body will be an Institution with the right to adopt normative decisions directly based on the Treaties, with the autonomy to execute those decisions, and without the need of approval by the Member States. Supranational actors contribute to the integration by different means and reasons. Moravscik presented that pooling or delegation in the EU, are means to assure that other governments will accept agreed legislation or enforcement in issue-areas, where joint gains are high and distributional conflicts are moderate, and where there is uncertainty about future decisions. Other contribution of supranational bodies to integration process is that they might reduce the transaction costs by institutionalizing the integrative dynamic and negotiating procedure; and, it may assist national governments in issues area in which there are reasonably clear added benefits working according to the rules, but with predictable temptations to chat in response to short-term pressures. In addition, supranational institutions bring mutual confidence; smaller countries, which want their interests taken in account, especially in multinational scenarios where there is not veto power, can relay in the impartiality of supranational actors, instead of intergovernmental decision-making procedures, where the most powerful Member States shape the process. Probably the best example of the contribution of a Supranational Executive Body to Regional Integration is in Competition Policy: The Commission received decision powers in the sphere of state aid, based on the EEC Treaty provisions, due to the necessity of an impartial and independent body to apply agreed rules to face national pressures. One of the earliest Community Regulations fixed the modalities by which the Commission would exercise that power directly to ensure that undertakings respected antitrust rules. A supranational executive body can also shape the process and foster the integration. An example is the development of the European Monetary Union (EMU). Monetary union was neither the uncontested solution to economic problems, nor an easily obtainable response to German reunification. Nevertheless, Commission officials successfully disseminated the notion that EMU altogether provided a coherent solution to the problems created by financial globalization and the end of the Cold War; furthermore, they were leading actors in the sudden proliferation of governmental initiatives in France, Italy and German in favour of the EMU. By doing that, they fostered solid political momentum behind an originally lukewarm and unfocused demand for monetary integration. There are several reasons and examples of the benefits of a Supranational Executive Body; nevertheless, South American Nations still working with Intergovernmental Structures. During the negotiations for the UNASUR Constitutive Treaty, its former General Secretary, Rodrigo Borja, presented a proposal for the authority and competences of UNASUR. In that document, member states, '(...) in exchange of the economical, political and geopolitical advantages that a common order can offer; agreed in the limitation of some of their sovereign faculties and will form the Union with common decision and executive multinational bodies'. The proposal was not accepted and finally, was part of the reasons of Borja's resignation. While in the case of the EU, the presence of a Supranational Executive Body is one of the strongest driving forces of the integration process, in the South American context, there is not yet a political will to pool sovereignty. Solón, pro-tempore General Secretary of UNASUR from 2006 to 2008, affirms ‘Nobody doubts that in the future it will be necessary to move to supranational authorities (...) but today they want an agreement where everybody shall count with the other to have a meeting point’. Behind that attitude, the reasons that can be drawn are the political will of member states, driven by governments or national monopolies, which do not want to lose control over the process and the stagnation of the over-institutionalism in the past (Central America Common Market and the CAN). The stagnation of over-institutionalism drives member states to appeal to external bodies in the dispute settlement, continuing the weakening of the idea of a supranational body; the political will of member states, or its absence, could be explained for the existence of strong national political elites, allowed for the late trade liberalizations of national monopolies. Rajagopal refers to studies of how MERCOSUR member states have been primarily driven by domestic political considerations when they have furthered the integration process. This it could lead to conclude that they are not likely to develop the kind of supranational governance institutions present in the European Union; as policy elites in MERCOSUR, member states desire to maintain a great deal of domestic policy autonomy. In addition of its intergovernmental character, the faculties of the UNASUR Secretariat as Executive body are restricted by its small budget of 3 million US$/year, much more limited than the 5,4 million US$/year of the CAN General Secretariat ; and by the denial of the proposal of pooling the executive bodies of CAN and MERCOSUR. Another issue to consider is that the feasibility for South American countries to pool sovereignty or to delegate power varies from one Member State to another, according to their own constitutive and legal framework. 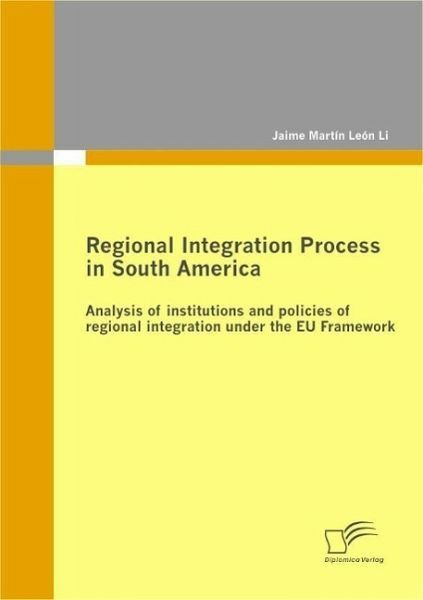 In some cases, Constitutional texts are quite clear in stimulating regional integration and stressing the prevalence of regional law, like the Venezuelan Constitution that allows to ‘confer on supranational organisations (...) the exercise of the powers necessary to carry out these integration processes (...)’(Art. 153, Venezuelan Constitution 1999). The Colombian external relations ‘are based on national sovereignty (...) and on recognition of the principles of international law accepted by Colombia’ and ‘The State shall promote economic, social and political integration with other nations(…)’, (Art. 19 and Art. 227, Colombian Constitution 1991). There are, however, other Member States whit Constitutions that needs amendment to pool sovereignty; like the Bolivian Constitutions which states ‘The public authorities may not delegate the powers conferred on them by this Constitution, or confer on the executive branch powers other than those expressly conferred on them by it’ (Art. 30, Bolivian Constitution). Therefore, the creation of a supranational executive body could not be totally accepted until the totality of the national Constitutions were in line with it. In addition to the considerations presented above, Chapter IV presents two Case Study based on the Game Theory to demonstrate the strong influence of an executive body with supranational competences in the integration process. Nevertheless, it is likely to expect that present integration structures will remain tied to intergovernmental political intentions, and the integration process will loose the benefits of a Supranational Executive Body. Jaime Martín León Li, born in Peru, 1974. Industrial Engineer, M.A. in European Studies and M.B.A. (Candidate) from the Bremen University of Applied Sciences, Hochschule Bremen. His professional background includes economical development, resource management, lean manufacturing and other areas in public and private administration. His interests in international relationships were awake when he was granted with a scholarship for a professional training in Germany, where he was fascinated with the integration processes among European States, and wondered himself the reasons why that experience did not work so well in South America. This book portrays his findings and - recalling his professional background - his explanations through the "Game Theory" decision model.